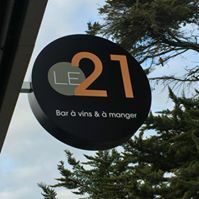 After 30 years of "good and loyal services" in Beau Rivage, Gérard and Christine Corchia have decided to turn to New Horizons: a wine and dining Bar but always in the same idyllic place above the beach of La Birochã ̈re. Gérard feels the kitchen as a sixth sense. It is present every day. All these years have been influenced by the meetings, the travels… that gave this inventive spirit, modernity, freedom and envy… The desire to go ever further! For Christine, it is over the years and tastings of the meetings of winegrowers that the passion of wine has been imposed as an obvious! The knowledge has deepened and today it is a wine list with 400 references, most of which are biological and biodynamic.